Assuming you didn’t get the iridium from UU-matter, the 2 UU-matter needed to craft an Advanced Solar Panel still takes 333333 EU to create (with scrap). It will take around 3 to 4 minecraft days in sunlight for it to break even. 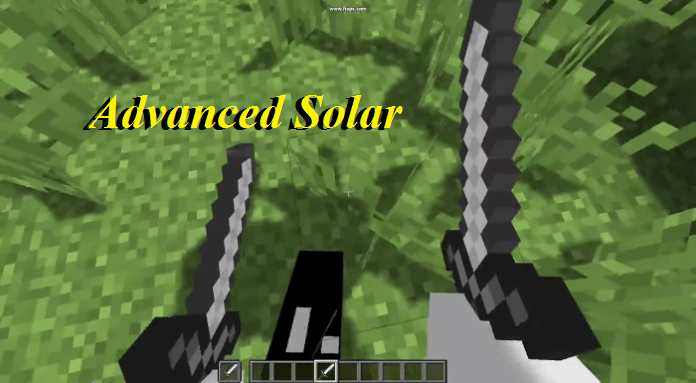 Advanced Solar Panels Mod adds several very powerful solar panels. It is an upgrade to the standard Solar Panel. In turn, it can be upgraded into a Hybrid Solar Panel and Ultimate Hybrid Solar Panel. It makes 8 EU/t during the day and 1 EU/t during the night. If it is raining or snowing, it will also make 1 EU/t, regardless of the time of day. Like all solar panels, it will not generate energy if its view of the sky is obstructed by a non-transparent block. Unlike the Solar Panel, the Advanced Solar Panel has a small internal battery which can store up to 32,000 EU (by comparison, a BatBox stores up to 40,000 EU). It also has four internal slots which can be used to charge most IndustrialCraft tools and energy packs (though more advanced items like the Mining Laser may take considerable time to charge). The Advanced Solar Panel is a low voltage generator and will output at 32 EU/t independent of how much it generates. For this reason, it is recommended to use Copper Cable or Glass Fibre Cable to wire the panel. Unlike other electric devices, breaking this item with an iron pick will give the player an Advanced Solar Panel back.